Pay attention, men! 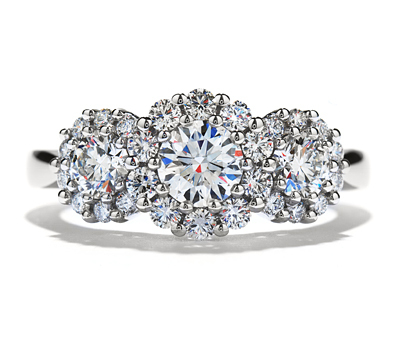 Time has come to talk about the finest engagement rings. There is not even necessary to say how important the moment when she receives an engagement ring is to a woman. Maybe it’s because it makes you feel special, because it gives you the ultimate proof that you are being loved, because of the thought that you get to spend a lifetime with the man you love, or, more certainly, all of that. Well, there are not enough words in the dictionary to describe that magic moment, so let’s get down to business and see some of the finest engagement rings there are. 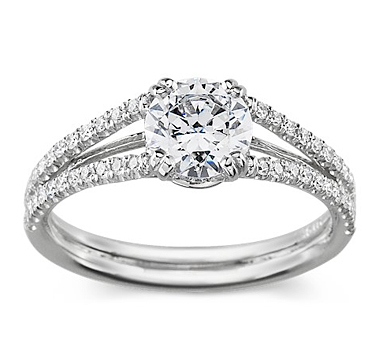 I will start with a classic oval diamond ring from Kwiat Bridal Collection and my personal favorite. 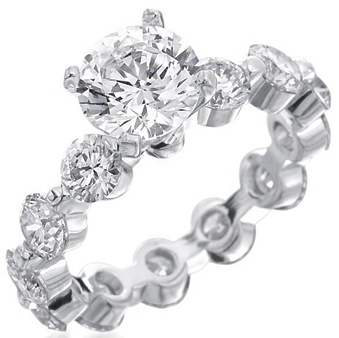 It is a platinum ring with an oval diamond center stone, bullet-shaped diamond on each side and a hand-engraved band. Price upon request. They say it’s shining in absolute perfection. It is handcrafted in white gold that weights 18 karats. It had a center stone and a couple of diamonds with trapezoid cuts on either side. Ladies love a three-stone engagement ring like this. 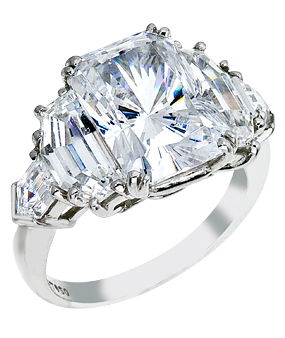 You can put this on her finger for $10,000. 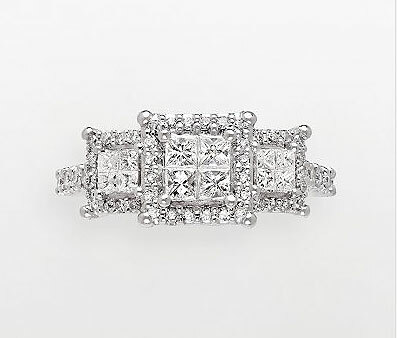 Also, take a look at this white gold three-stone ring with a diamond frame. For $500,000 you can propose with this gorgeous ring of 15 karats. It is set on an eternity-style band and the frame is encrusted with diamonds all around. 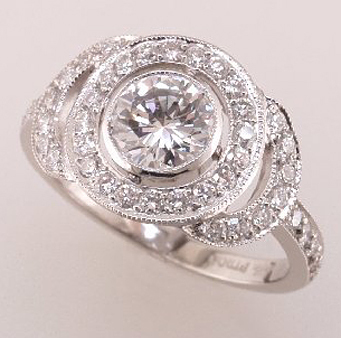 This beauty is a Fusaro platinum ring with a special half-moon cut and bullet side diamonds. Price upon request. 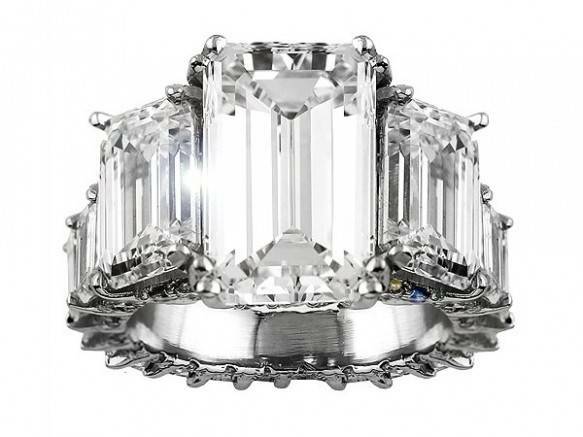 Peter Norman created platinum handcrafted ring with a center brilliant-cut diamond surrounded by diamond crescent frames and you can have it for $9, 950. 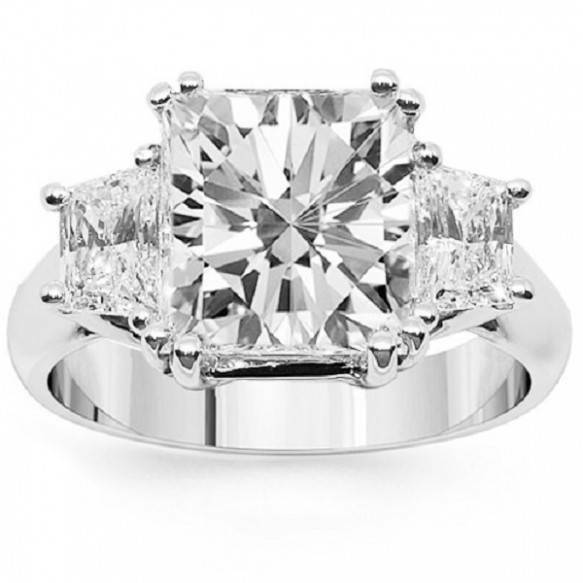 For $17,000 you can make your lady happy with this Memoire.999 platinum ring from the Purity Collection. 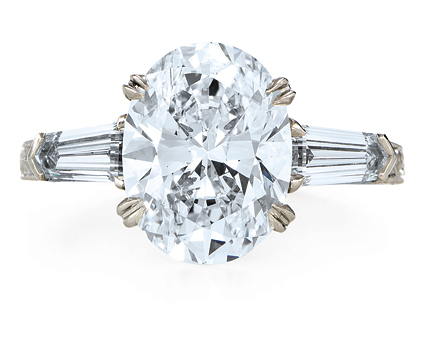 A classic engagement ring with a round diamond and 46 other little diamonds. You can have it for $1,750, but this price does not include the center stone.